Drama is the language of humanity and an integral art form. This powerful medium provides a way to explore the world around us through enactment; representing, questioning, critiquing and communicating images and ideas. In broad terms, Narrabundah College’s Drama program involves two key areas: Making and Responding. Students learn as artists by creating Drama works that communicate to audiences. Likewise, they learn as audiences by responding critically to Drama. These actions are taught concurrently, as each depends on the other. Narrabundah College offers an exciting and innovative Drama program, with students able to study at Tertiary or Accredited levels, as well as undertake the academically rigorous and rewarding International Baccalaureate course. 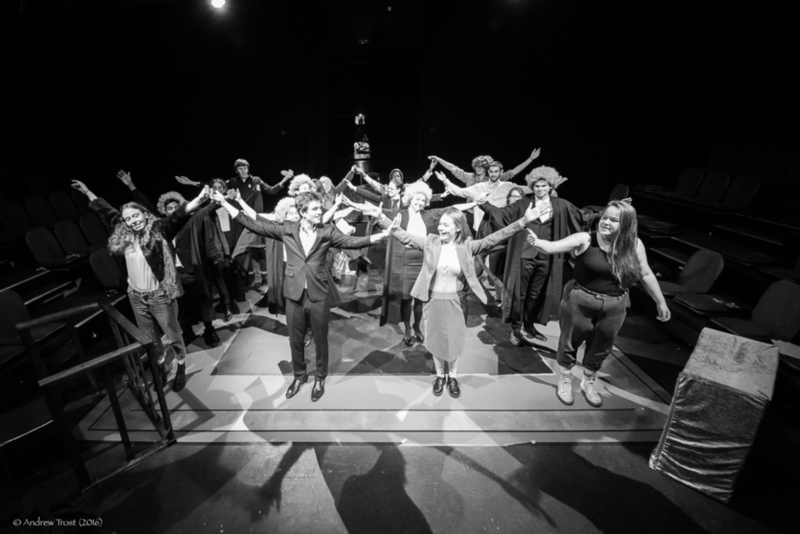 From the introductory Dramatic Explorations unit, to the annual College production, course work is geared towards students discovering a variety of theatrical traditions and performance styles, whilst undertaking theatre research and criticism. Becoming involved in this branch of the Arts is a powerful way to increase confidence and self-esteem, explore collaborative learning and build emotional intelligence and resilience. Such qualities transcend the theatrical context, making a Narrabundah Drama education an exhilarating and practical experience not to be missed. The Music department is a vibrant place, where students of diverse musical backgrounds and aspirations meet to explore and pursue their musical goals, with the assistance of highly qualified professional teachers. The department has a two hundred seat Music Auditorium with a beautiful new grand piano, a recording studio, a fully equipped ‘Ableton Lab’ for electronic music students, teaching spaces with computers for each student including Sibelius music notator, and practice rooms. Our students perform regularly at lunchtime concerts, public performances including the Autumn Concert, the Winter Concert, school assemblies and school formal events. Students are also offered opportunities to perform outside of the school, such as "Yuddah", the big contemporary music gig and a host of other performances within the wider community. The music courses offered at Narrabundah College are of the highest standard and are catered for the needs of students at different levels of achievement. Students have the opportunities to attend excursions that relate directly to the topics studied, including concerts, lectures, and tutorials at the School of Music. The Music department regularly invites high profile performers and composers to give concerts, lectures or masterclasses at our Music Auditorium. The Music department has a history of success, and boasts a long list of alumni of leading figures in music making locally and internationally. It does not matter whether you want to pursue music as a career or just for pleasure; Narrabundah College has something for you. Tertiary courses are specifically aimed at students who want to pursue their musical studies at university level. Accredited Music Courses are for students who want to study music mostly for self-enjoyment and do not require music as a part of their tertiary package. Tertiary Music courses enable students to reach tertiary admittance level. These courses are specifically aimed at students who want to pursue their musical studies at university level. Accredited Music Courses are for students who want to study music for self-enjoyment and do not require music as a part of their tertiary package. This scheme was introduced in 1985 to assist students with tuition fees. Students wishing to apply for scholarships must do so in the first two weeks of term 1. Auditions are held in week 4 of term 1 where students must perform two contrasting works of any style on their instrument/s. The awards are presented as part of the Autumn Concert. It is expected that the winner of the scholarship will represent the college at different events throughout their time at Narrabundah College. The Visual Arts course at Narrabundah College has a long-standing reputation of excellence. Studying Art in year 11 and 12 will afford you many opportunities; creatively, technically and otherwise. It is here that you will develop skills in the fundamental aspects of art making; including drawing, sculpture, printmaking, painting and ceramics. In Art you will also learn essential skills in communication– verbal, written and visual. Our focus, as teachers, centres on a collaborative approach with all students who choose to enrol in Art as part of their package; Standard or Tertiary. As professionals in this subject area we will mentor, encourage, challenge and facilitate you throughout your creative journey. As students who have electively decided to enrol in a Visual Arts Unit, you demonstrate that you have an interest in learning, practicing and creating. The Visual Arts course is a broad general art program that provides the opportunity for growth through self-expression in visual media. The emphasis is for the student to learn and develop a wide range of skills that contribute to the effective communication of ideas while exploring diverse media. 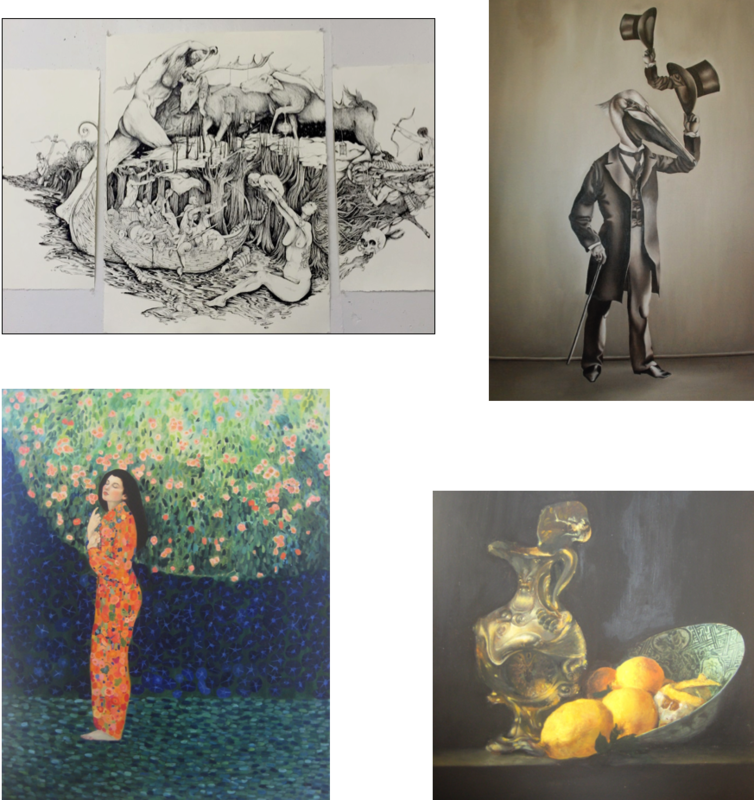 The Visual Arts (A) course has a greater emphasis on practical studio work in assessment. The course may be taken as a Minor, Major, Major/Minor or a Double Major and is a sequential course that begins with units 1 and 2. These two units form an essential foundation for all later units and are a prerequisite for subsequent (T) units. Units of Ceramics (T/A) may be included in the Visual Arts (T/A) courses and vice versa. The single units; Drawing, Painting and Art History may be included in the Visual Arts (T/A) course. Practical work, visual diary and research. The exact weighting given to each item varies from unit to unit. Details are available from faculty staff and in each unit outline. 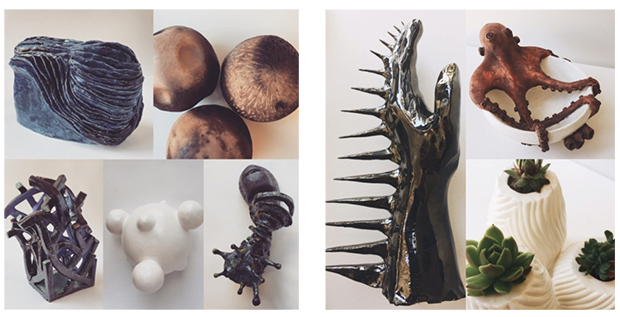 This course offers students the opportunity of learning the major techniques of this medium, enabling them to create objects while developing ideas and styles in ceramics. Emphasis is placed on students’ personal creativity. 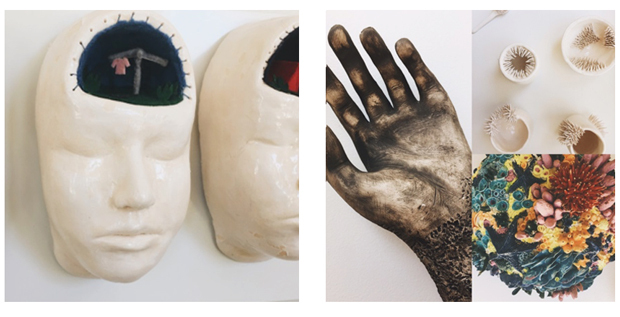 The Ceramics (A) course has a greater emphasis on practical studio work in assessment. Ceramics may be taken as a Minor or Major course. Units are offered as either half-standard (0.5) and/or standard (1.0) units as indicated against each unit. Dance is the language of movement. It is an art form that uses the body as an instrument of communication and creativity. It has its own specific language, processes and techniques that are explored through creation, performance and evaluation of dance, demanding intellectual and physical rigour. When creating dance, students explore ideas through developing an understanding of the elements of dance, stylistic conventions and choreographic tools. They learn to problem solve, collaborate and make creative judgements as they select and structure those elements and conventions to create and shape choreographic sequences. When presenting dance, students use expressive techniques to convey the choreographer's intent to an audience. They develop an understanding of the nature and function of dance; through a practical knowledge of various forms and styles and a range of technical and performance skills to entertain, inspire and challenge an audience. When evaluating dance, students use a range of processes to communicate their interpretation, critical analysis and appreciation of dance. The deconstruction of dance forms allows students to demonstrate their understanding and knowledge of dance as performers, choreographers and observers. Dance offers opportunities for students to derive a sense of wellbeing, self-esteem and the necessary social skills to work effectively, both individually and collaboratively. Through Dance, students have the opportunity to develop a range of life skills that will enhance their careers and personal growth.